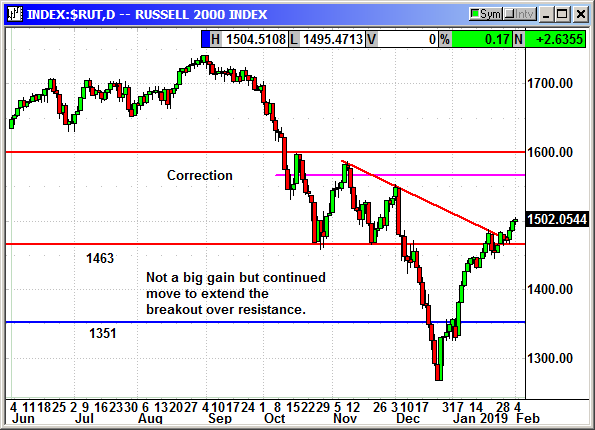 The small cap index only posted a minimal gain but it was still a 2-month high. 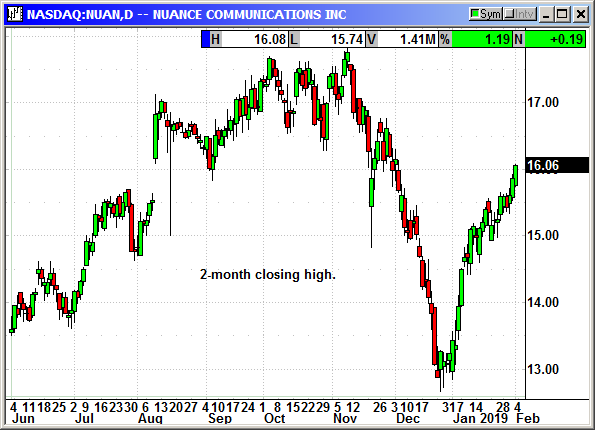 Friday could have easily been a market decline given the post earnings depression from recent reporters and weekend event risk. Instead the Nasdaq was the only loser thanks to a $92 drop in Amazon. This is a positive sign for the Russell to be positive on a Friday after a big gain. 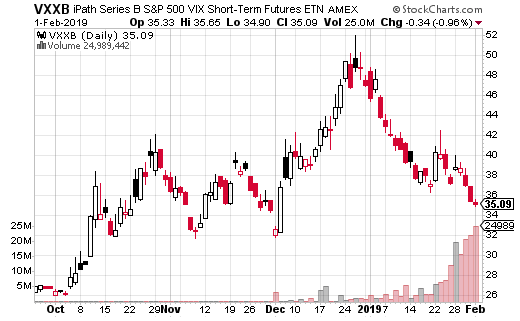 The short position was entered at the open. No specific news. 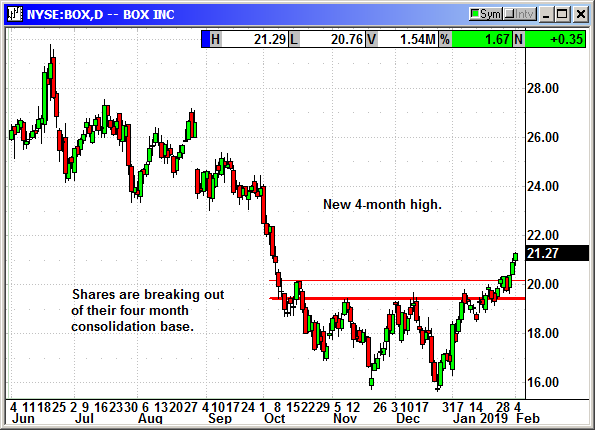 Continued rally to a 4-month high. Major 17% spike on absolutely no news. Nuance completed the sale of its document imaging division to Kofax for $400 million. This allows Nuance to focus more on its AI and cloud based business. No specific news. 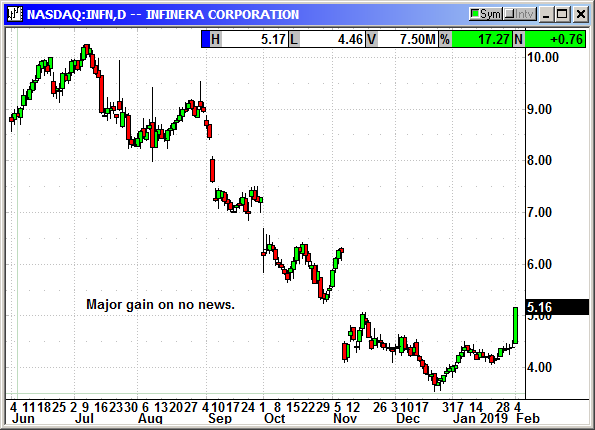 Minor decline on no news. 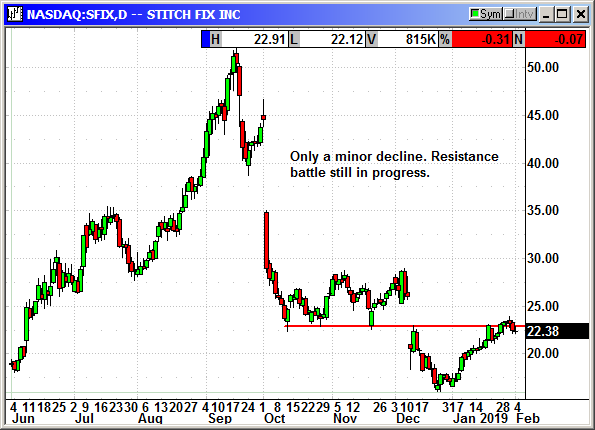 Resistance battle still underway. No specific news. We closed the position at the open for lack of forward progress. 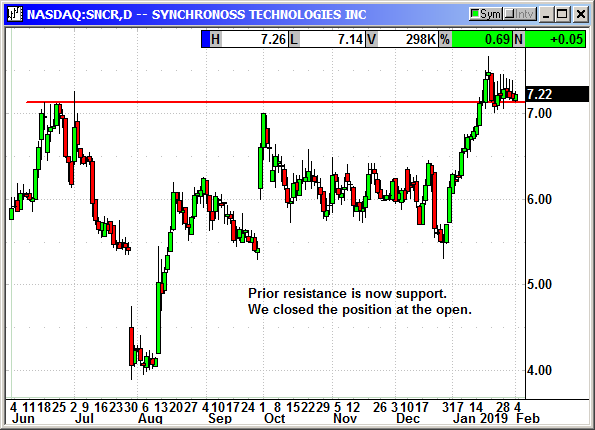 Closed 2/1: Long SNCR shares @ $6.75, exit $7.15, +.40 gain. 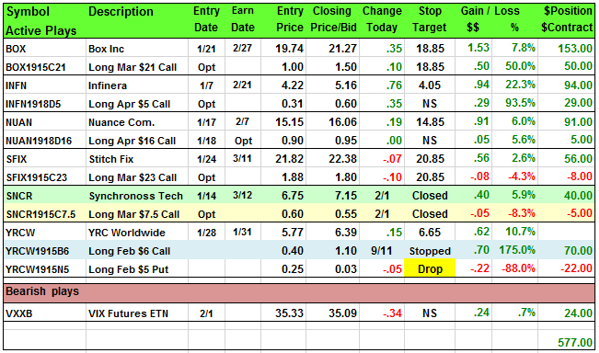 Closed 2/1: Long March $7.50 call @ 60 cents, exit 55 cents, 5 cent loss. YRCW did not decline today. The minor gain after an earnings miss is unusual. I am dropping the long put position as a loss but I would not close it. Just because YRCW did not decline today does not mean it will not fall next week. It is not worth closing for the current price of 3 cents. Miracles do happen. Hold it until expiration. 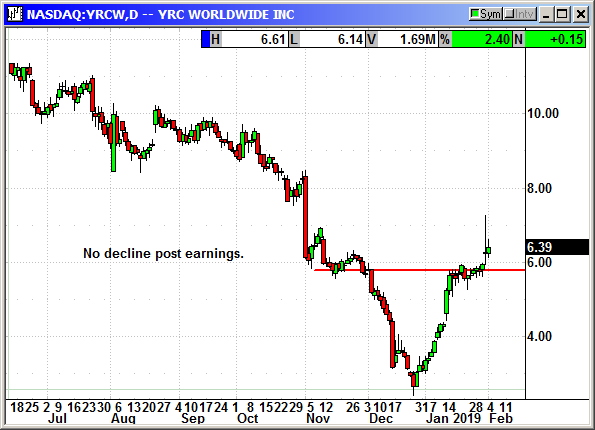 Update 1/31: YRCW reported earnings of 6 cents that missed estimates for 12 cents. That was still a 50% increase from the year ago quarter. Revenues of $1.25 billion beat estimates by a fraction. Shares spiked to $7.26 at the open before fading back to $6. 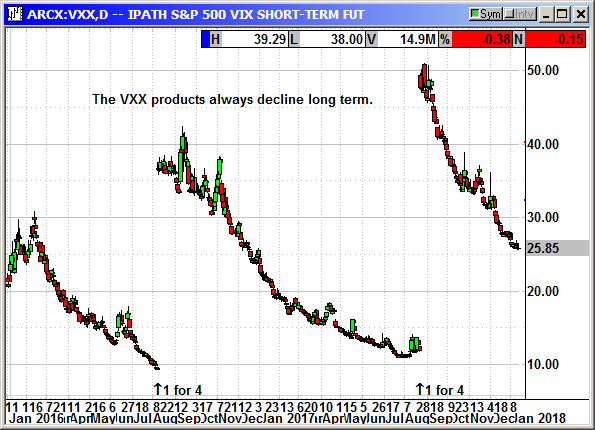 The new position on VXXB was entered at the open and today was a choppy market so we did not get any decline.